Stop! 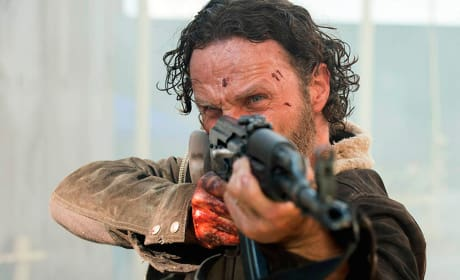 Or Rick Grimes will shoot! This is a photo from The Walking Dead Season 5 premiere. 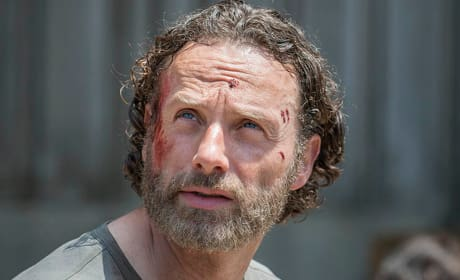 Rick is at Terminus to kick off The Walking Dead Season 5. How will he lead his group out of there? Look out behind you!!! This is a photo from The Walking Dead Season 5 premiere. Permalink: You don't have to do this. We were being human beings. Permalink: We were being human beings.